Next time you’re running late for work or class because you can’t find a top to match your skirt, or the right pants to go with your blouse, you may want to consider adding a few jumpsuits to your wardrobe arsenal. Whether it’s casual overalls or a dressier one-piece, jumpsuits are surprisingly versatile for work and play, and make getting dressed a cinch. With that said, today we’re bringing you our favorite styles for fall—scroll down to check them all out! 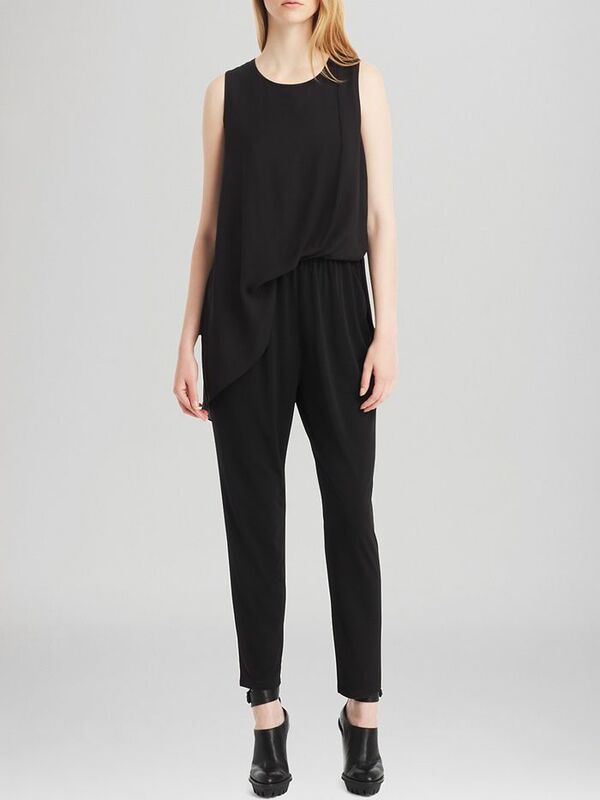 We’re more than willing to break the “no white after Labor Day” rule for this sleek, streamlined jumpsuit. This silky jumpsuit will look amazing with heeled sandals and minimal jewelry.